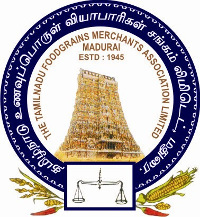 Pon Traders – Leading Manufacturer & Exporter of Riceada | Palada | Piece Parotta | Vermicelli | Appalam | Muruku | Asafoetida in India about 35 years. Behind the taste of the products ! Must watch it. Riceada is that form of Pasta resembling “Fettuccine” which is manufactured from rice flour. This Product is mainly for Kerala people. They Prefer this type of pasta for all festivals. They make Ada Pradhaman which is a sweet recipe. Ancient days kerala people make the Rice Ada By steaming the rice flour in huge vessels. We bought the Same quality of Rice Ada readily available for them. We also manufacturing Palada Pradhaman especially for the Kerala people. It is prepared like a Kheer mixed up with milk,Cashew nuts,Cardamom,Sugar or jaggery and gives the wonderful tasty Amrit of Kheer. They make Palada Pradhaman which is a sweet recipe. We bought the Same quality of Rice Ada readily available for them. Most people In Kerala prefer Our Rice Ada Pradhaman and Palada Pradhaman for their festivals like Vishu, Onam, Boat festival, Theyyam festival, Auttukal Pongala, Thrissur Pooram festival, Makaravilaku festival, Temple festivals of Kerala, etc. Instant Chilli Piece Parotta which is manufacture with maida flour have rock in our madurai city. You feel tasty,spicy and crunchy when you taste it. You can prepare it within 3 minutes instantly. The preparation method is also given at the backside cover of our product. Most of the madurai people desire to prepare Instant Piece parotta for their family for instant food in their fast moving world. We manufacture, export, distribute and supply South Indian Appalam (Papad) in Madurai, Tamil Nadu, India. We offer delectable ready to cook south Indian Appalams. It is very crispy & tasty in its nature. Our appalams are a delicious south Indian delicacy in bite size. We prepare it in an Export certified quality mixed with the pure raw materials. These type of appalam are handmade under Hygienic conditions. It shall be prepared in various sizes ranging from 3.5 to 6 inches. We also undertake private labeling services. We also solicit enquiries from institutional buyers viz Hotels and Caterers for direct supplies.The South Indian Appalams(Papad) are must-have accompaniment in the meal. Made from rice and other lentils, they go well with sambar or rasam rice. In India and other countries of the Indian Subcontinent, Vermicelli is known by various local names such as, seviyan or semiyan in Hindi, Urdu and Punjabi, vaLavaT/ shevaya in Marathishemai in Bengali, sev in Gujarati, shavige in Kannada, sevalu or semiya in Telugu, and semiyain Tamil and Malayalam. The noodles are used in a number of dishes including a variation of kheer, a sweet dessert similar to rice pudding. Vermicelli are also used in many parts of India to make a popular dish called upma. To prepare it, dry oil-roasted vermicelli are boiled with a choice of vegetables. Central Asian Kesme and Persian reshteh also resembles vermicelli. Fālūde or faloodeh is a Persian frozen dessert made with thin vermicelli noodles frozen with corn starch, rose water, limejuice, and often ground pistachios. Murukku is a savoury, crunchy Indian snack. The snack originated in the Tamil Nadu state, and its name derives from the Tamil word for “twisted” (Tamil: முறுக்கு), which refers to its shape. Murukku is popular all over India, and also in other countries where Tamil diaspora is present: Sri Lanka, Singapore and Malaysia. Murukku is typically made from rice flour and urad dal flour. It is sometimes called “chakli”; chakli is a similar dish, typically made with an additional ingredient, bengal gram (chickpea) flour.